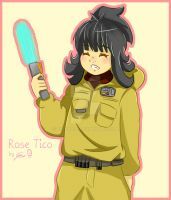 We really need more fangirling Rose in Episode IX. "Do you still have the two halves of the lightsaber?" One of the most precious in the galaxy. I finally realize what this is referencing! Legend of Korra Reference! YAY! I feel that I'm not alone when loving Rose! To be honest, the only reason I don't like Rose is because I'm a Finn/Rey shipper. You're definitely not alone! Lots of us love her. Can't wait til Episode IX! I hope she becomes best friends with Rey! God bless you for this, seriously. I love Rose, and I'm extremely proud of Kelly Marie Tran (although she wouldn't know me from a telephone poll). The psychotic fanboys/girls are really running the character, and worse yet, the actress down, and it sickens me. Have a differing opinion, fine, but there's no need for irrational hatred or racism. Regardless, thanks for the Rose love. 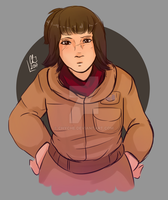 Hope she shows up in Ep 9. Very good job so funny !! Right? I really hope it happens. haha! I hope they'll be best buds in the next movie.